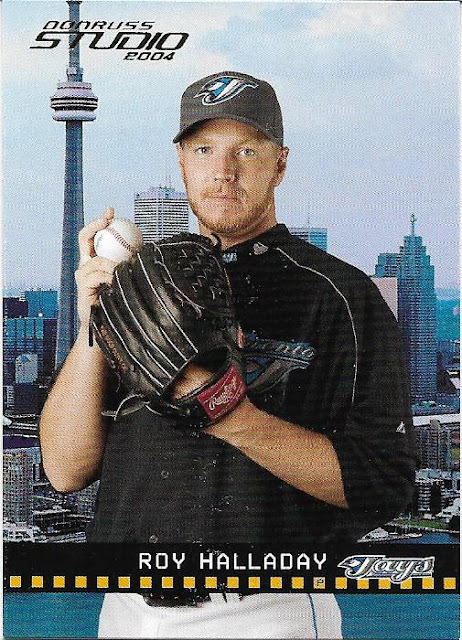 Still a little bit stunned over hearing the news that one of the greatest pitchers in Blue Jays history, Roy Halladay, tragically passed away yesterday at the age of 40. 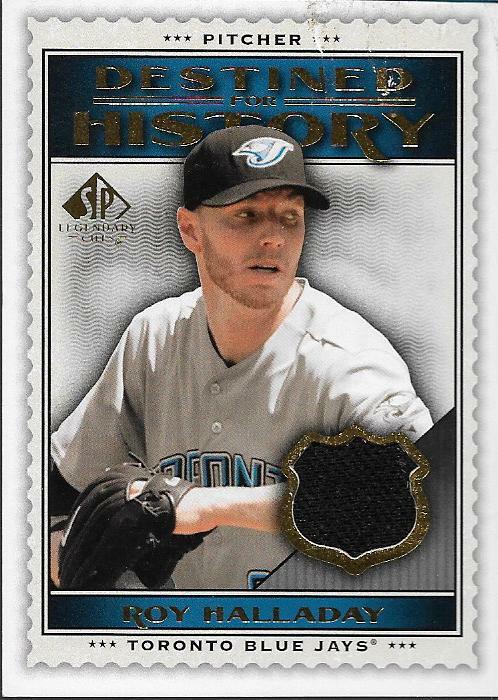 Seeing all the highlights on TV and on twitter, I had forgotten that Roy was an out away from a no-hitter in only his 2nd career start (damn you Bobby Higginson). Roy was an 8-time All Star, 6 of those selections coming as a Blue Jay. 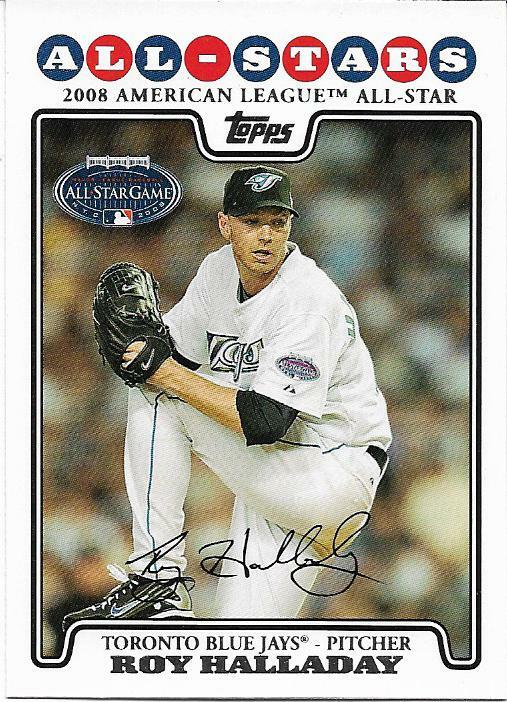 Roy won a Cy Young in 2003 with the Jays, going 22-7 with a 3.25 ERA and 9 complete games. He pitched 266 innings that year, a number that you may not see ever again with today's pitch count and inning limits placed on pitchers. Roy was having one of his better statistical seasons in 2005 when he was hit by a line drive against Texas in July. He was 12-4 at the time with a 2.41 ERA and a WHIP of 0.96. In 2007, Roy pitched 7 complete games. That would start a run of 5 consecutive seasons in which he would lead the league in complete games (3 in the AL, 2 in the NL). 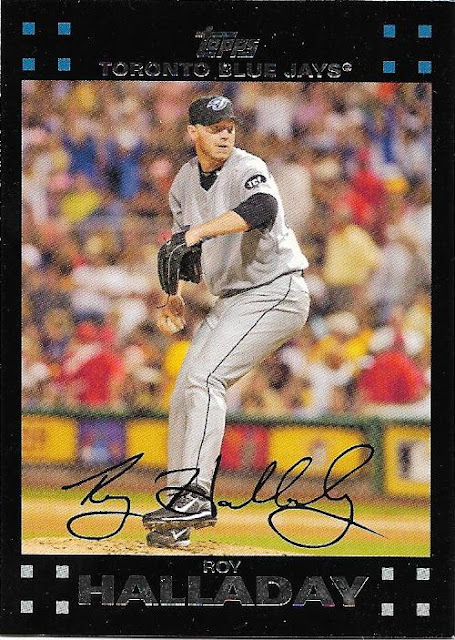 During that 5 year period, Roy would win 93 games and throw 42 CG's, 12 of those shutouts. 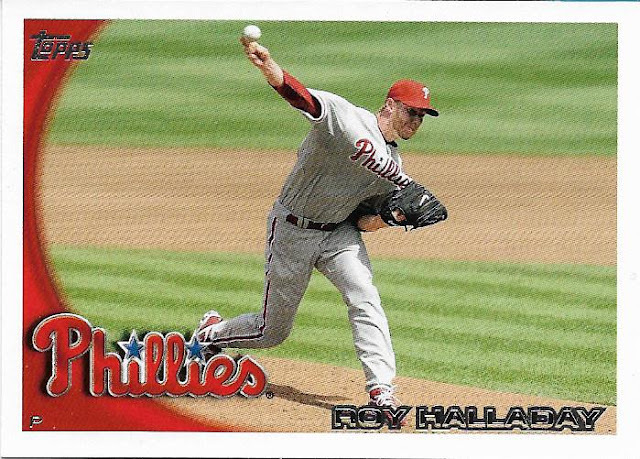 2010 was the coup-de-grace for Roy, throwing a perfect game against the Marlins on May 29th, striking out 11 hitters while throwing 115 pitches. 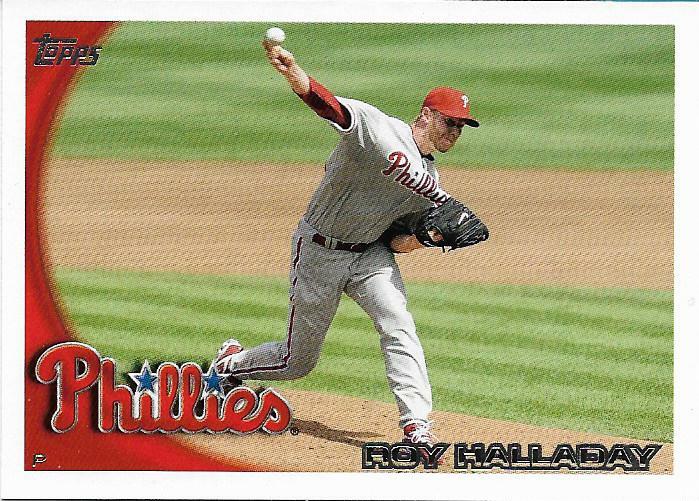 Roy would finally hit the postseason that year, and in his first start he would no-hit the Reds, striking out 8. The only blemish on that game would be a walk to Jay Bruce. It was the first post-season no hitter since Don Larsen's perfect game in the '56 World Series. Destined for history? I hope so. Would love to see the Jays honor him sometime in 2018 by adding him to the level of excellence. 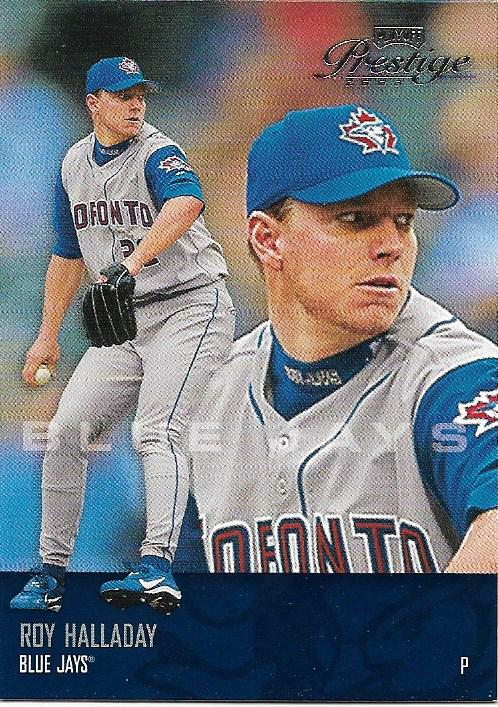 He was one of the best pitchers to ever start for Toronto, if not the best. God bless you Roy, you left us way too soon. Rest in peace. Wow. He almost threw a no-hitter in his second career start? That's awesome. 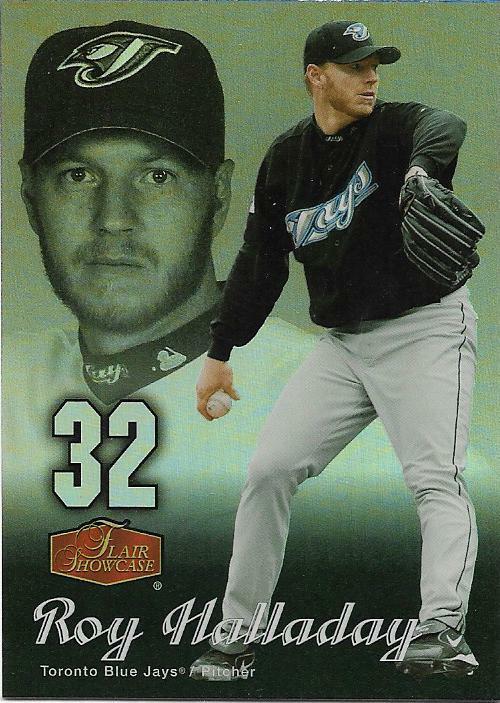 He was an awesome pitcher. Sad he passed away at such a young age. Rest in peace Doc. I remember him well as a Jay. I know he had a tough time figuring it out early in his career, but once he did, man was he great.